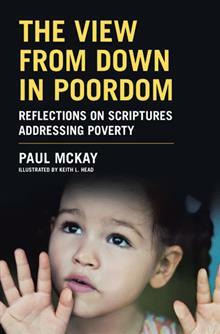 « The View From Down in Poordom: Now on Sale! I received my own copies of the book Friday. 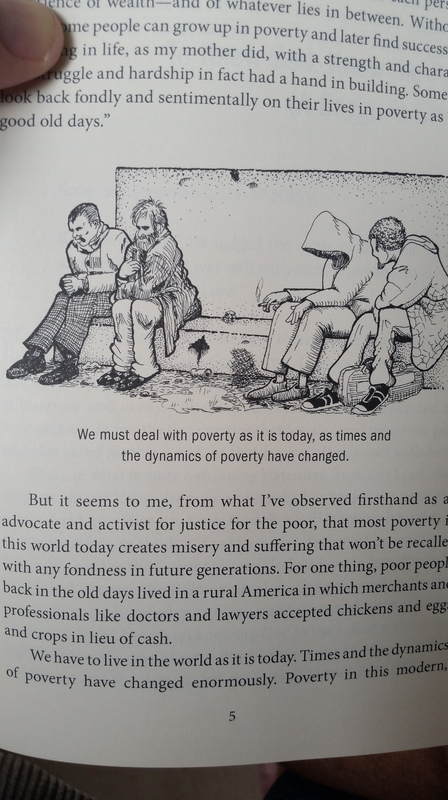 Here’s a pic of one of its illustrations by the talented Rev. Keith L. Head. 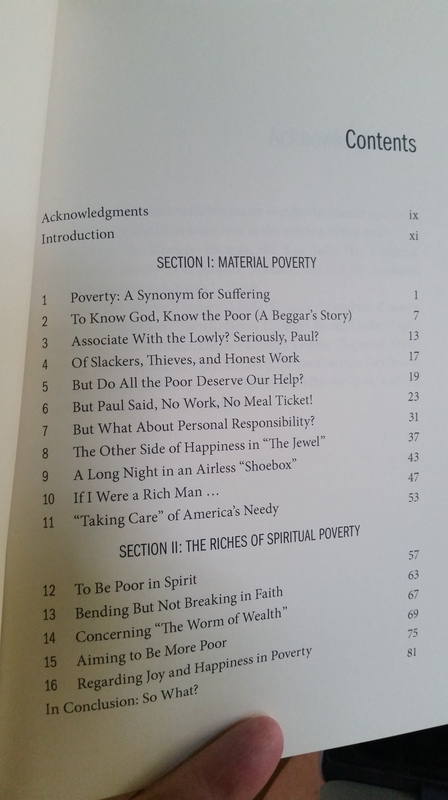 What follows is an excerpt from the third chapter of my newly released book, The View From Down in Poordom. It includes pen-and-ink illustrations by retired United Methodist Reverend Keith L. Head, a man of many gifts, graces and talents. It’s available for order online at Barnes & Noble here, and Amazon here. 3. Associate With the Lowly? Seriously, Paul? So we Christians are to associate with the lowly? Seriously, Paul? The lowly of the world strive to be “movin’ on up” so as to associate with those higher on the income and social scales, don’t they? I mean, who wants to hang out with those on the low rungs of society? Upward mobility is the American way! 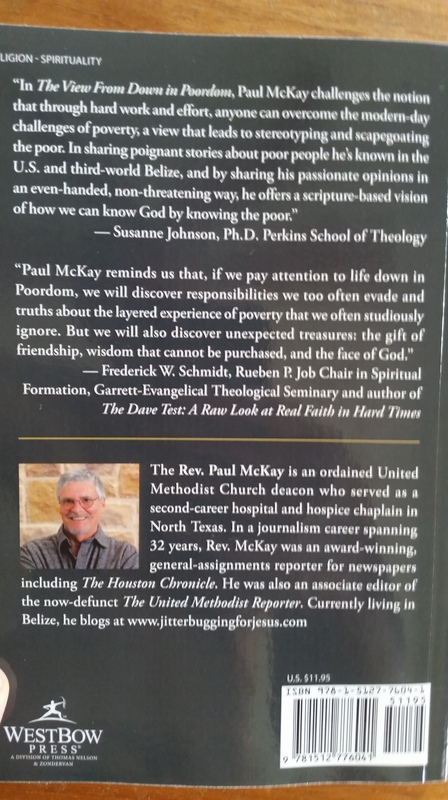 That’s a humbling spiritual practice, but isn’t humility always the point when it comes to the theologies of poverty and ministries to the poor? It seems that Paul, who once noted that Jesus humbled himself all the way to death on the cross (Philippians 2:8), was always and forever mindful that Jesus himself had said, “All who exalt themselves will be humbled, and all who humble themselves will be exalted” (Matthew 23:12 NRSV). But who might be these lowly that Paul urges us to hang out with? Are they the unwashed masses that band together on downtown streets waiting for soup kitchens to open? Are they the undocumented immigrants who risk life and limb to get to America to scrub our toilets, mop our floors, tend our gardens, and pave our highways in blazing heat? Would the lowly be the lowlife who, in his or her despair, ended up an addict? Is the lowly the able-bodied poor person who, yielding to despair after a lifetime of being whipped down, gives up on trying to find work? I wonder if perhaps the lowly that the Apostle Paul—not to mention Jesus—would have me associate with are the people that I, with all my natural human prejudice, look down on, based on my life experience with people I don’t understand and perhaps don’t care to understand. It does seem to me, in all honesty, that we all harbor some kind of superiority complex—that we all look down on somebody. Maybe that’s why humility is one of those threads that we see running through the Bible from start to finish. God in His power is constantly humbling somebody who is puffed up with pride, power, and prejudice. Paul himself, who was seemingly obsessed with instructing early Christians to humble themselves, was humbled in a big way, after all, on that road to Damascus.